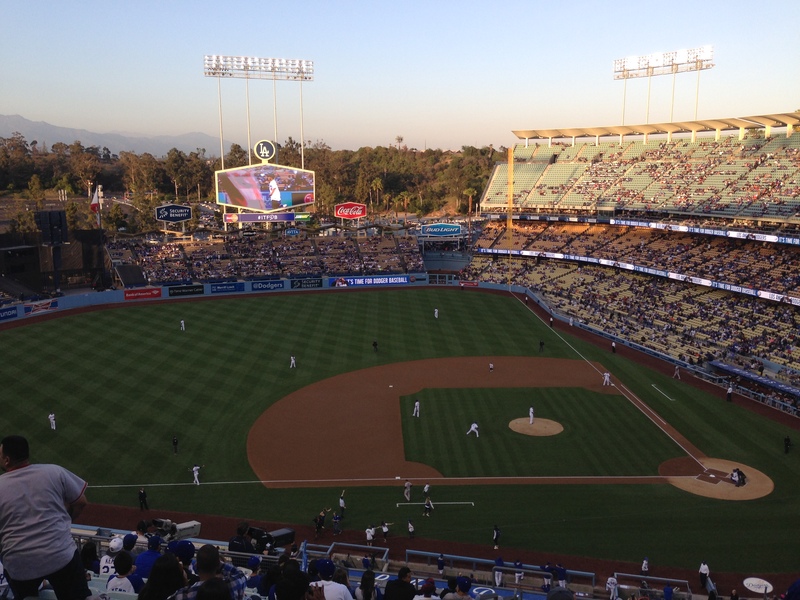 Last weekend, we were given tickets to watch a baseball game at Dodgers Stadium to see the LA Dodgers take on the San Francisco Giants. We have already been to two previous Dodgers games, but this clash had a particular bite to it since it represented a rivalry with the Giants, stretching back to the 188o’s. Historically, the Giants have it over the Dodgers head-to-head, but as the saying goes, the next game is all that matters. Dodger Stadium is an iconic stadium, located in an adjacent neighborhood to central Los Angeles, which holds close to 60,000 people, making it the largest stadium in the Major League. Built in the early 1960’s, it is also one of the oldest MLB stadiums. Upon entering the stadium, you are immediately confronted with the various fast-food and merchandise stands, where all items on sale are expensive. 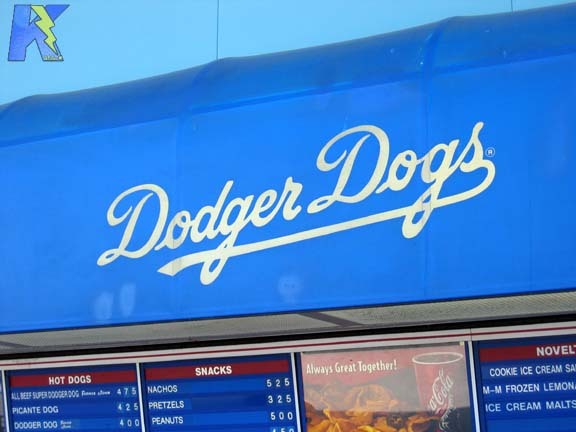 One of the more famous items is the “Dodger Dog,” which is essentially a regular hotdog served in an aluminum foil wrapper, to which you can add whatever condiments you wish, such as onions, relish, ketchup and mustard from a self-serve station. Once seated, we could purchase other things to eat from the various vendors who wander the stands, but at drastically increased prices. Needless to say, we stuck to just the Dodger Dog, and some coffee. The atmosphere at the game was fun. The announcer indicated the start of the game by declaring, “It’s time for Dodger baseball!” just before the players ran out onto the field. 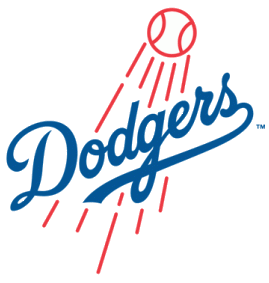 The crowd appeared very knowledgable about the game and passionate about their team, with the majority of the fans decked out in their team colors, which made the stands look like a sea of blue and white – the colors of the LA Dodgers. As to the final score that night? Well, since we have adopted the local LA sports teams as our own, such as the Dodgers, the Clippers and the Kings, it doesn’t really matter what the score was, but we had a great time anyway!